When the New Horizons spacecraft raced past Pluto this summer, it constantly snapped photographs both coming and going. 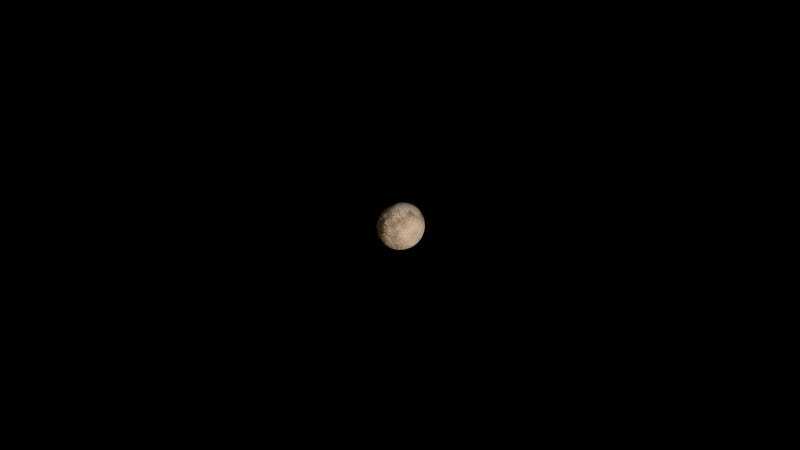 This is exactly what it saw while zooming past the frozen dwarf planet. Whoa. We’ve seen fan-art of what the probe might have seen in a simulation interpolated from public image releases. But now NASA is providing their version of what it would be like to hitch a ride on the spacecraft as it skedaddled through the system. New Horizons skimmed just 12,500 kilometers (7,800 miles) over Pluto at roughly 14.5 kilometers per second (32,435 miles per hour), a multi-year journey culminating in just a few days of data. From Charon tugging Pluto around its orbit, soaring over the frozen plains of Tombaugh Regio, to the glow of the nightside before finally fading into a crescent, the spacecraft’s journey is summed up in just one word: gorgeous. The New Horizons probe is alive and well, scooting out to keep exploring the Kuiper Belt. Image releases will resume this September, with new data downlinking throughout 2016 for even more discoveries. The spacecraft will be making orbital corrections this fall to redirect to its next target, the tiny 2014 Mu69. The final product goes from one second of movie time equaling 30 hours at the beginning and end, to one second of movie time equaling 30 minutes for the closest-approach section. The movie starts and ends with the camera targeting the barycenter, the mutual point around which Pluto, Charon and the other four moons orbit. As the movie appears to zoom in for the Pluto flyby, the focus shifts to Pluto itself, and then it moves off Pluto so that it does not appear as though you are about to crash into the surface nor fly through the planet. The camera target remains on Pluto for the solar occultation – when the sun passes behind it – and then moves back to the barycenter for the solar occultation by Charon. Fourth, the small moons – Styx, Nix, Kerberos and Hydra – were simply too small and faint to be seen to-scale. So I enlarged them by a factor of 5 and brightened them so you can at least see the two larger ones (Nix and Hydra), and I drew in their orbital paths.